When people consider a vintage theme for their wedding, it’s mostly because they want to exude elegance and sophistication, without having to go over their budget on décor, or forcing their guests to invest in clothes that are too expensive just to fit in with the theme. In this sense, vintage weddings allow a great balance between elegance and functionality, and this makes them a great choice. Still, some people can be uncomfortable with carrying a completely vintage theme. If you’re looking to add a touch of modern into your own wedding plans, you might want to consider a bingo-themed wedding. Bingo is one of those games that have spanned generations, finding its roots in an Italian game from 1530. Over the years it has evolved into the game we all know and love, reached its heyday in the 1950s and slowly trickled down into a more retro pastime. However, in recent years, the game has made a comeback, with the BBC reporting that in the UK, the number of online bingo portals grew from 20 in 2004 to 350 in 2013. Free Bingo Hunter, a website specializing in cataloguing these online bingo portals, has found that each site has made the classic game of bingo into their own with various themes and attractive prizes. Although not a lot of people still play the game at bingo halls, bingo has undoubtedly generated a following. By embracing modern technology, the industry has come back after its decline in the 60s, and this is something that you can take note of when you’re planning your vintage wedding as well. 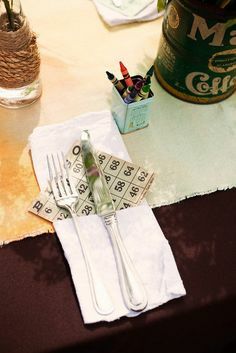 You could have a wedding that goes full-on vintage, and use these vintage bingo cards as centerpieces or accents to your dining table. Or you could make things a bit more modern with a pop of color, not just from the cards but also from the décor. Or, you could have a mix of both, with quiet elegance complimented by your choice of color combinations. I don't know about you but I'm always on the lookout for a good mascara. And this was especially true when I was getting married. My plan was to go the fake eyelashes route for my wedding day and to do my make up myself for the rehearsal dinner. Unfortunately, the day of my wedding my dream fake eyelashes were not going to happen. All that obsessing over my wedding make up and sadly, none of it came to be. It is a long story and lets just say it ends with my wedding planner having to do my make up. Thank you Shauna! I really should do a post on the importance of having more than one hair and make up trial and more importantly doing the trial, weeks, not days before your actual wedding date. I made all of those mistakes and it cost me fantastic eyelashes. At least that is how I envisioned them. I am a very firm believer in quality mascara. I could never get the drug store brands to work for me. I used to use Lancolm. And if truth be told their mascaras do something amazing to the eyes. Long, shiny, separated and uber dark lashes. Unfortunately and it is a big minus Lancolm mascaras smell and I mean reek, not long after you open them. That always worried me a little so I stopped using them. Now, I use the Dior mascaras and I use a primer first. Dior is a solid mascara and while it also makes the lashes pop it doesn't have that same shade of black as Lancolm. Dior also smells, but not nearly as quickly or as much as Lancolm. Recently, because of my desire to put the least amount of chemicals on my eyes as possible I switched to Black Tea Pure Fruit mascara. I found it on Amazon. I find everything on Amazon. And I really like it. It doesn't give anything close to the same dramatic eye effect as the two above, but it coats the lashes nicely, doesn't smell rotten, doesn't clump and washes off easily. For an every day mascara it is pretty good. I plan on continuing to buy it. Again, I suggest using a primer with it. Having said all this when my co-worker approached me about Younique mascara I was more than curious. It is all natural which really appeals to me. In fact it too is made with Tea. How the Younique Mascara works. Similar to the primer effect, you coat your natural lashes in your 'normal' mascara, then you apply the gel and then the fibers. The first time I used the Younique mascara I got fibers everywhere. But then I googled a Younique tutorial, How to apply Younique mascara. What did we do before Youtube? And that made a huge difference. Even after watching the tutorial it takes a couple of times before you get good and fast, ok faster at the application. Of course I don't have a decent before and after picture. Instead I have a picture of myself after I applied the Younique mascara for the first time (prior to tutorial watching) So take that into consideration, but having said that I still think the mascara performed well. And after a few tries and the tutorial I can see how you can really get your eyes to pop. I'd recommend the Younique mascara. I will order it again. Play around with it and you'll see first hand that you can get some very dramatic looks from it. I would have loved it for my wedding. Loved it! I'm not sure I'd use it as my everyday mascara. Who are we kidding I don't wear make up everyday. But if I did I'd probably opt for something lower key. But that is me. And the Younique gel is pretty similar to the Black tea mascara i got off Amazon. So you could use the gel alone for nicely defined everyday lashes. My next night out I plan on using a primer first and then applying the Younique mascara. Anyone done that with good results? Disclaimer: My co-worder sent me the Younique mascara in exchange for this review. And I'm glad she did. Thanks Kim. I also don't work for Younique. Since I liked the mascara I decided to try their lipgloss next. I found this charming little review on younique lipgloss and Nat convinced me to give the lipgloss a try. Tree Loving Hugging Wedding Inspiration. Maybe it is because I live in Seattle and we are surrounded by beautiful tree greenery...but I love trees....there is something beautiful, strong, and magestic about a tree. Since forever trees have been symbols of strength and loyalty. The giving tree by Shel Silverstein comes to mind. It was one of my favorites as a kid. Here are some fun ways of incorporating trees into your wedding. source bridal guideThis picture is stunning. Draping lights accross the branches of a really big tree and then using that as the backdrop for your vows is magical. This is one for the books and will leave a lasting impression. This tree overlay is done with die cut lasers and is a beautiful start to this nature inspired invitation. My favorite part is the little gold heart on the tree with the couples initials. Just darling. Speaking of darling I love these personalized tree mugs from Uncommon Goods. There is something so romantic about seeing carved initials in a tree trunk. But having said that, don't do it - it isn't good for the tree. Instead get your initials put on tree mugs and celebrate your lasting love that way. This a variation of the ever so popular fingerprint tree guest book. 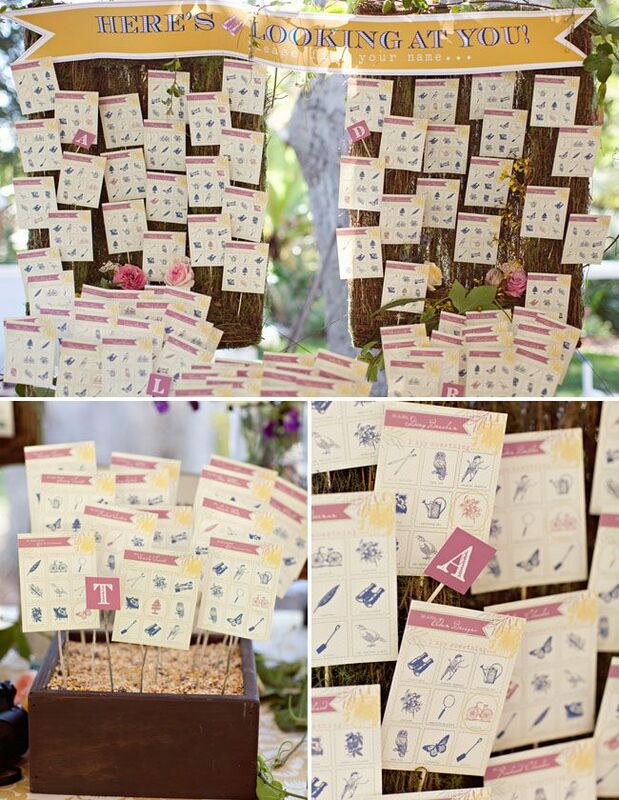 Instead of fingerprints your guests write their names on the branches of a tree. Using this as a wedding aisle would be an extra special tree touch. Tree wedding favors are gaining in popularity. These are especially cute if there is a tree in your story-you had your first date under a tree, or maybe in a tree house. And tree favors are perfect if you just want to give mother nature a hand. I love the idea of planting something and being able to nurture it and watch it grow. The tree favor is a beautiful testament to your beautiful day. Did you include a tree on your day? Disclaimer: The people at Uncommon Goods were nice enough to send me a set of tree mugs. Uncommon goods are good people, almost everything is handmade and $1 of every purchase goes to charity. And everything is in harmony with people and the environment. Hard to beat that. This year, I'll be almost 7 months pregnant for the holidays. And we have a beautiful little one year old running, and I mean running around the house. I thougth she was busy before. Our poor Christmas tree doesn't stand a chance. Combine these two factors and it doesn't leave much time, or energy for much Christmas shopping. So what is a girl to do? Answer: give the gift of pictures. Go Pro- There are so many reasons that professional pictures are worth the time it takes to do your hair and dress your baby and (yes) husband in the morning. For one, all you have to do is show up and let the professional do the rest. You don't have to worry about filters, lighting or anything else. When you go pro you are guaranteed a beautiful good quality picture that you will be proud to keep, share, and gift. Camera phone cameras are fun but not for gift giving. Christmas Cards- If you are one of those people, like we are who still believes in sending Christmas cards then you can't go wrong with a family picture card. Family and friends love to get recent pictures. It is a nice personal touch and if your family is like mine it will end up on the fridge. Mini Albums- These are from our Seattle photographer, Miss Freddy and will make lovely Christmas gifts. I won't spoil for who. The best part of these mini albums is Miss Freddy does all the work, she picks the pictures, layout etc.. you provide her with some feedback and she mails them to you. Hard to beat that. If you'd like to see a picture of these beauties click mini albums. Shutterfly- I love this site. You can take all those beautiful pictures you have and turn them into perfect little picture presents. You do have to do this yourself, but Shutterfly is very user friendly and I've used it to order storybooks, magnets, cups, desktop frames and more in the past. Psst: think grandparents. Matching Outfits- So this is only me. But where else is it appropriate to dress like your child other than in a family holiday photo shoot. I found us matching outfits! And I was so excited about them (probably too excited about them). If you are looking for more ways to dress for your photo shoot Miss Freddy has a great what to wear for families on Pinterest. I've included some of the pictures from our Photo shoot, courtesy of Miss Freddy. We took family photos, pics of our baby girl and even a few maternity ones! (I'd never had maternity ones before) Miss Freddy was our photographer and we think she did an awesome job. What do you think? Finding the perfect gift for a first anniversary can be tough. How can a physical gift express the joy and accomplishment of your first year of marriage? If you’re abiding by traditional gift-giving rules, the first anniversary poses an even greater challenge—paper doesn’t seem very glamorous. Nevertheless, paper is a great starting point for lots of DIY gift projects. A personalized present is heartfelt, so paper-based gifts are a wonderful way to express your love. 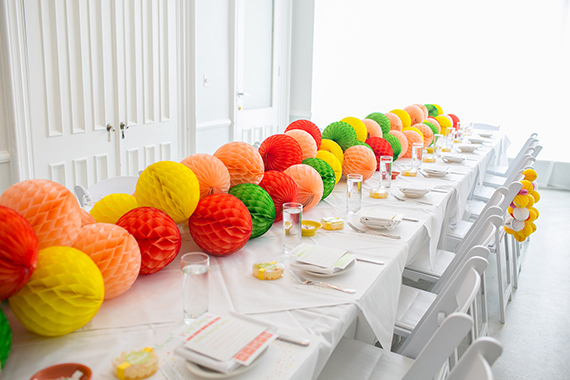 Here are some of my favorite paper-centric DIY ideas to make a first anniversary memorable. In the digital age, memories are just a camera click away. However, there’s nothing quite like a personalized photo album created by a loved one. Scrapbooking doesn’t have to be a female endeavor! Men shouldn’t have anything to fear from stickers or glue sticks; if you put together a scrapbook of old photos, ticket stubs, printed emails (anything related to your relationship), she’ll be blushing with surprise and elation. Books tend to make great first anniversary gifts, especially if your significant other likes to read. Write a heartfelt message inside the cover of a vintage copy of their favorite book or go the extra mile and pick up an autographed version of the latest book from that author they can’t get enough of. Another great option is to publish something personal. Many companies offer books that can be customized to fit your marriage and there are even services that will generate romance novels featuring the names of you and your spouse. Origami is a cute way to embellish your anniversary plans. Learn to fold cranes, frogs, and other animals, and leave them around the house to surprise your spouse on the special day. Use a trail of folded creatures to lead your wife to the breakfast you’ve prepared for her. Origami boxes and envelopes are also inventive ways to wrap small gifts. Your spouse is sure to love your playfulness. When you tell your spouse how much you love them on your anniversary, it’s an awesome feeling. But why stop there? You can remind your spouse of your love every day! If you plan for your first anniversary in advance, you can create a custom page-a-day calendar. All you need is a stack of paper, a hole punch, and a few binder rings. On each sheet of paper (365—one for each day of the year), write down something you love about your spouse, a shared memory, a favorite photo, or anything else that celebrates your relationship. Don’t forget to label each page with the corresponding date and weekday. When you’re done, fasten your project with binder rings and get ready for a smile. It’s a lot of work, but the daily payoff is worth it. Your gesture will continue all the way until your next anniversary! There’s no paper like the newspaper! Call up your local paper, pay for space in the classifieds section, and make a sentimental statement about your marriage. On the morning of your anniversary, present the paper to your spouse (along with a nice breakfast, of course) and watch their surprise as they read your tribute. For something a little less public, order a personalized book that chronicles all of the headlines and important events from your first year of marriage. These are just a few anniversary projects you can create with paper. Your first anniversary gift isn’t as limiting as it might seem! In fact, you can use the opportunity to express your love and appreciation in heartfelt and inventive ways. With a little imagination, you’ll fondly remember your first anniversary for many years to come!